Quality since 1914. Artificial color added. 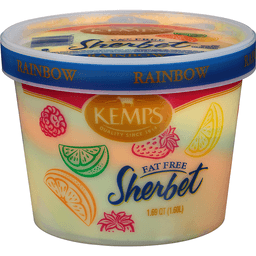 If you have any questions or comments call toll-free (800) 726-6455. www.kemps.com. Kemps. It's the cows. Made in the USA. 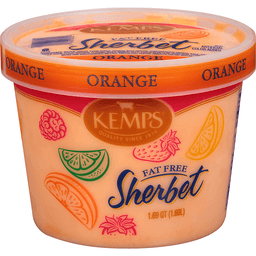 Quality Since 1914 Kemps® "It's the Cows." 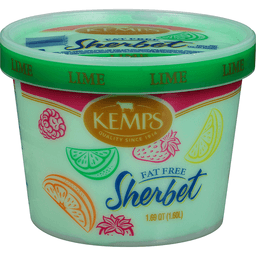 Cherry, lemon lime & orange. Ready to serve treats. Artificial flavors and colors added. By Blue Bunny. bluebunny.com. We welcome your questions or comments. Call us weekdays 8 am to 5 pm CST. 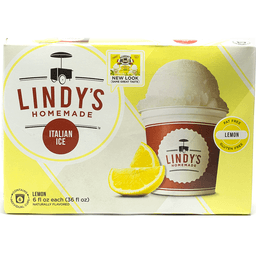 Lindy's Homemade™ Italian Ice Lemon. Fat free. Gluten free. Naturally flavored. 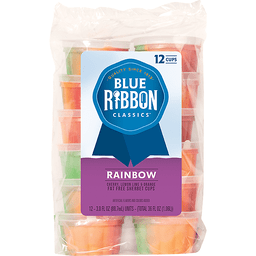 Contains 6 individual cups. 6 fl oz each (36 fl oz). "Lucky Lindy" started with a dream to serve Italian Ice from street carts, as they do in Italy. So, he began crafting original recipes in his kitchen and sharing them with the whole neighborhood. Today, Lindy's neighborhood has grown to include the whole country. And you don't even have to visit a Lindy's street cart to get some. 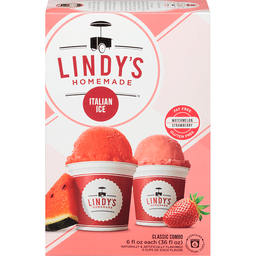 Just open your freezer door and Lindy's Homemade Italian Ice is delivered right from Lindy's kitchen to yours. Now who's lucky Partially produced with genetic engineering. Call 704-391-7994. Visit www.lindyshomemade.com.